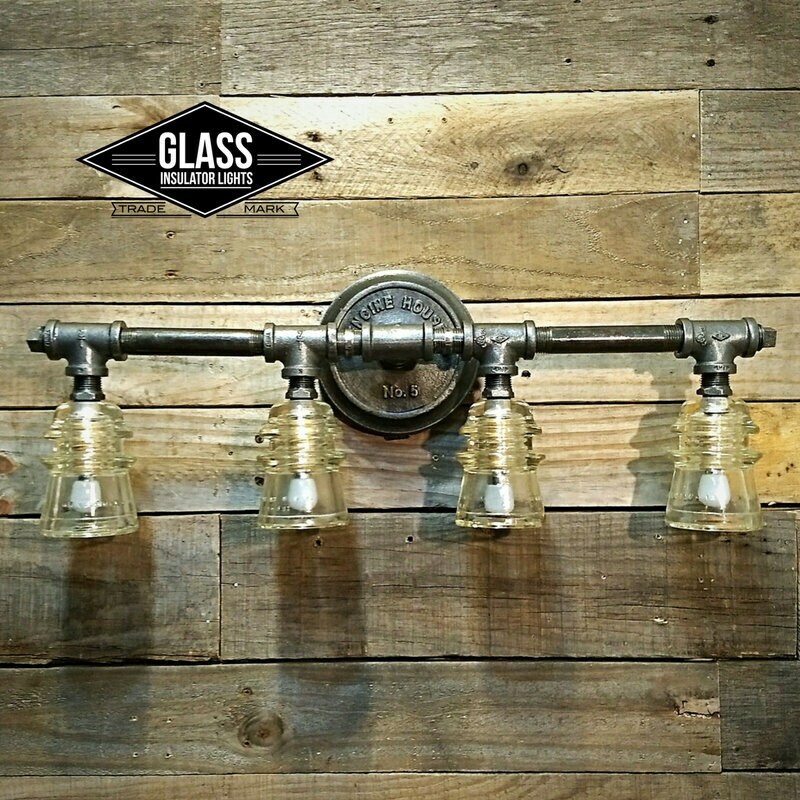 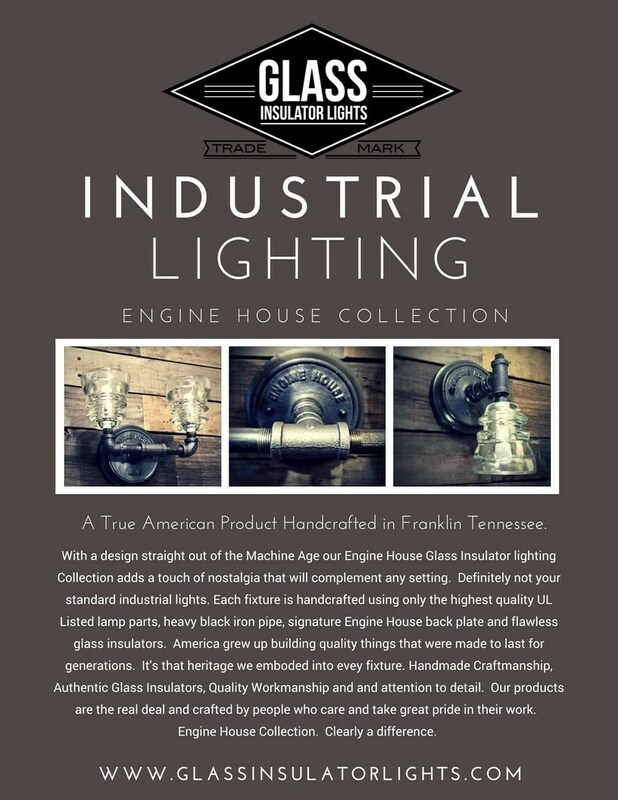 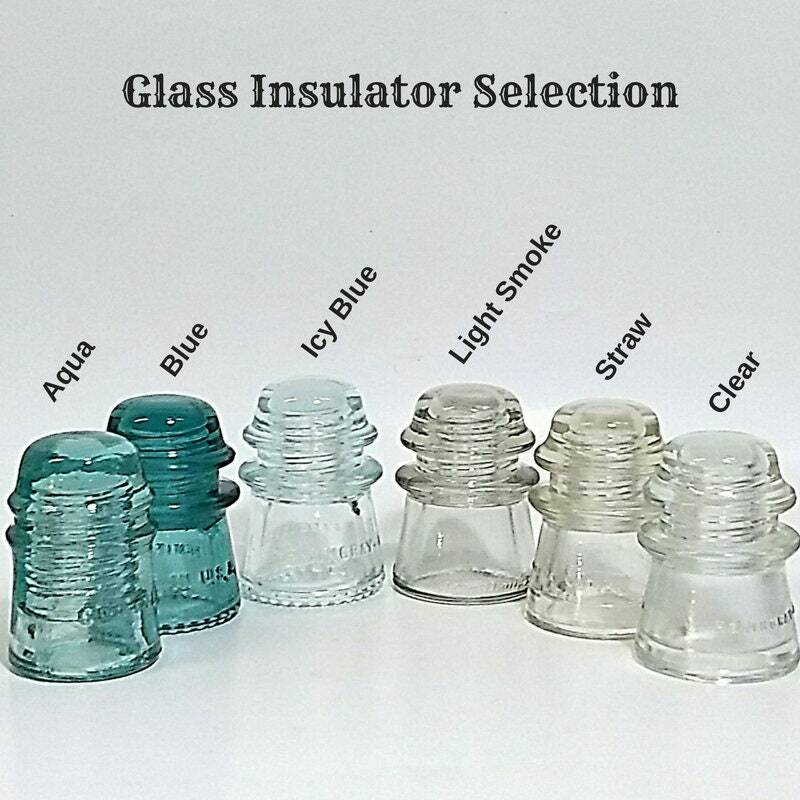 One of a kind 4 Light Industrial Glass Insulator Vanity Light is made from beautiful antique telegraph insulators. 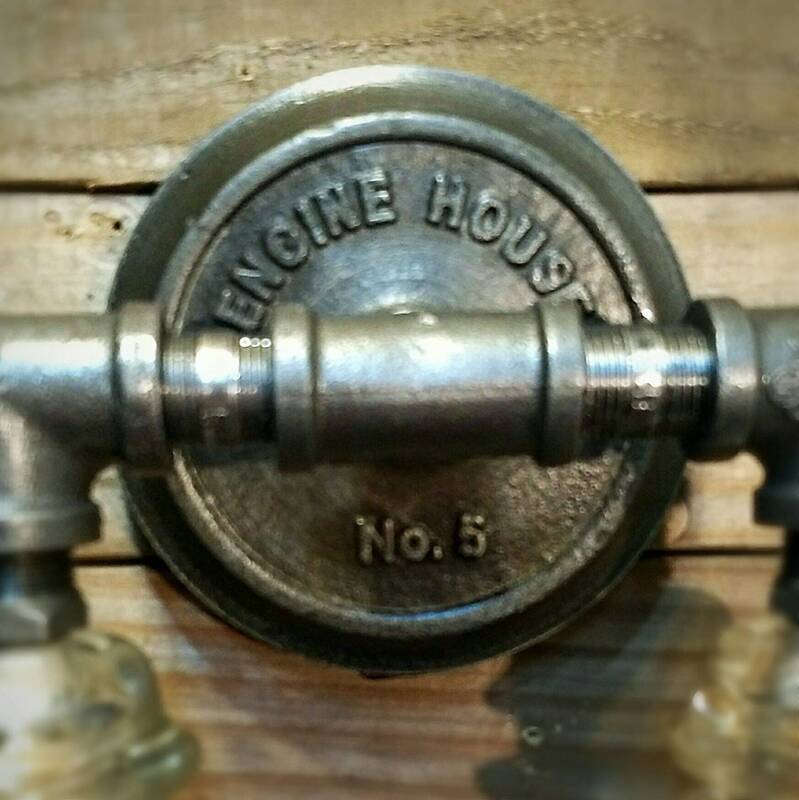 The Black Iron Pipe and "Engine House No. 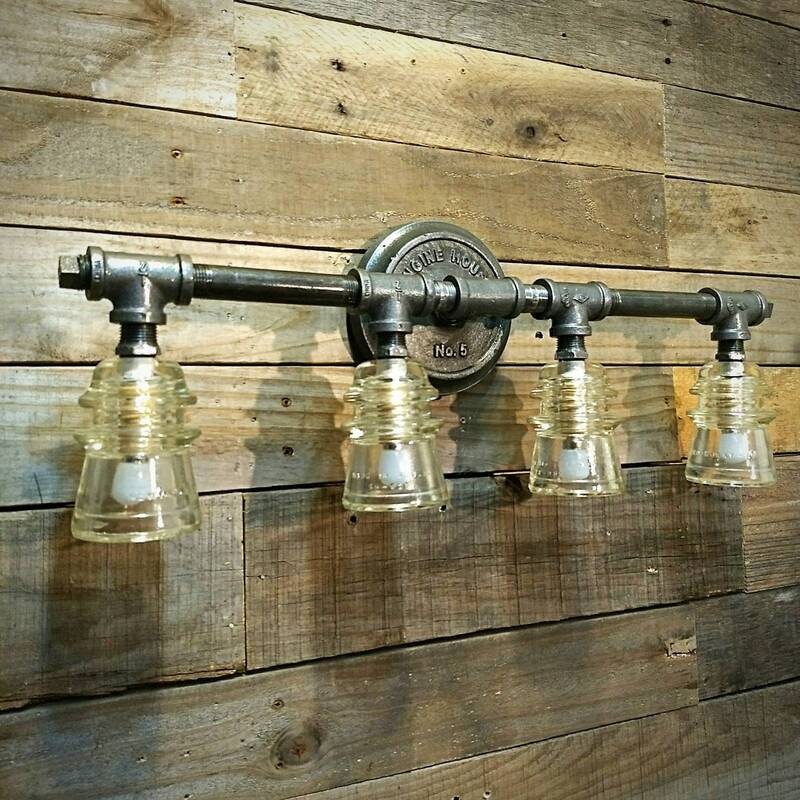 5" back plate gives this fixture a true industrial warehouse look that will compliment any setting. 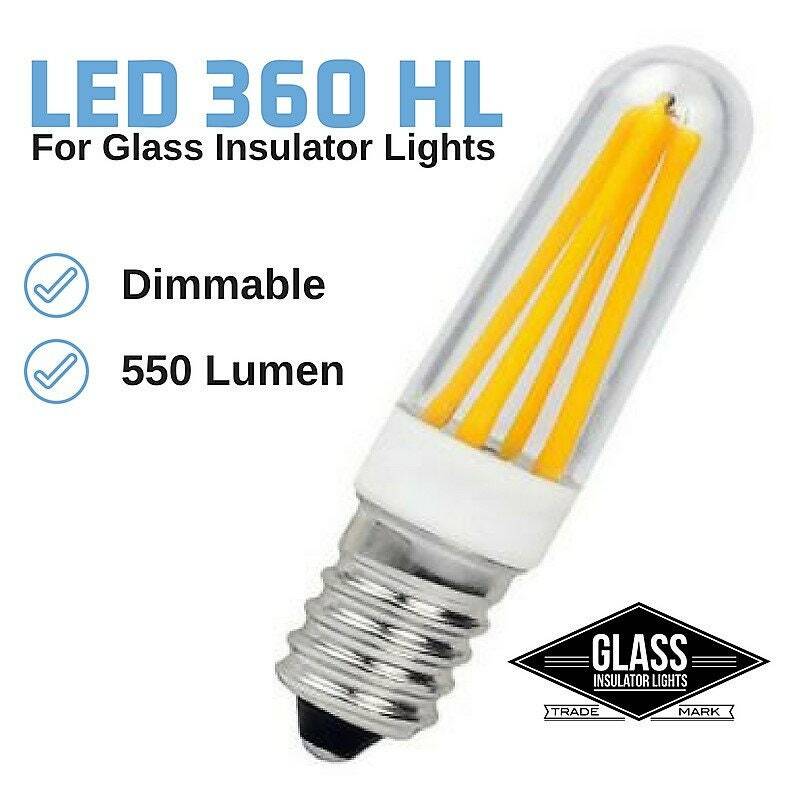 • LED 360 HL Bulb = to a 45 Watts (45 Watts x 4 = 190 Watts) Very bright ... reflects the insulator and your true beauty. 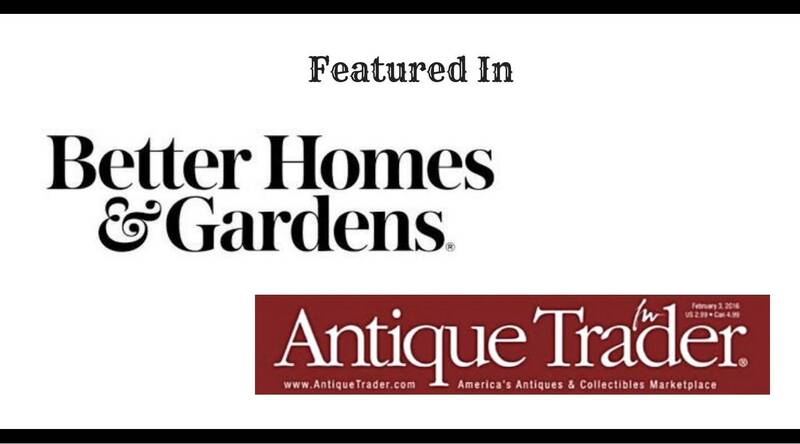 A great way to start your day. 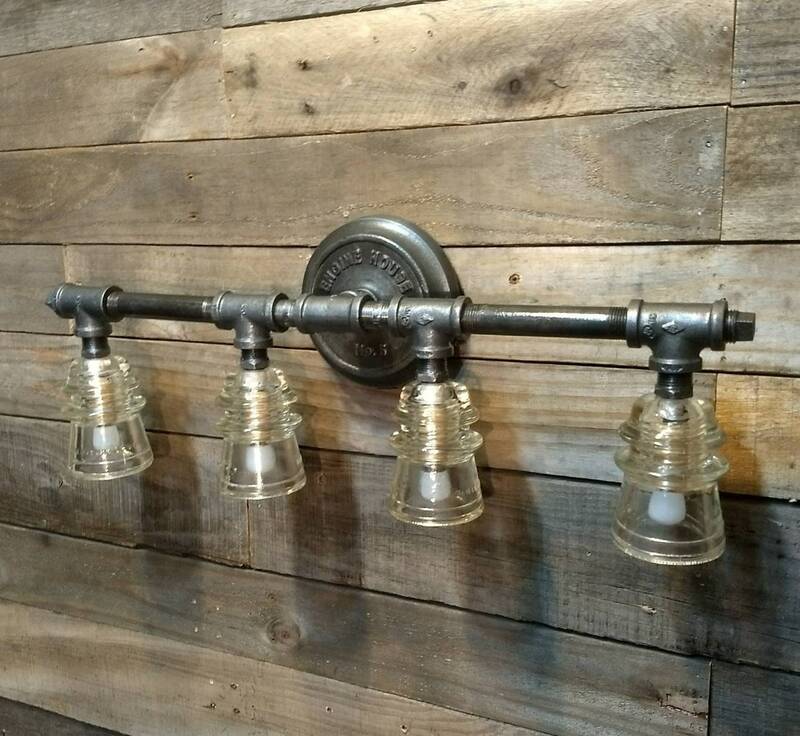 Measurements: Approximately 24" Wide – Extends From Wall 4 1/2"
We can custom build this light to meet your design application. 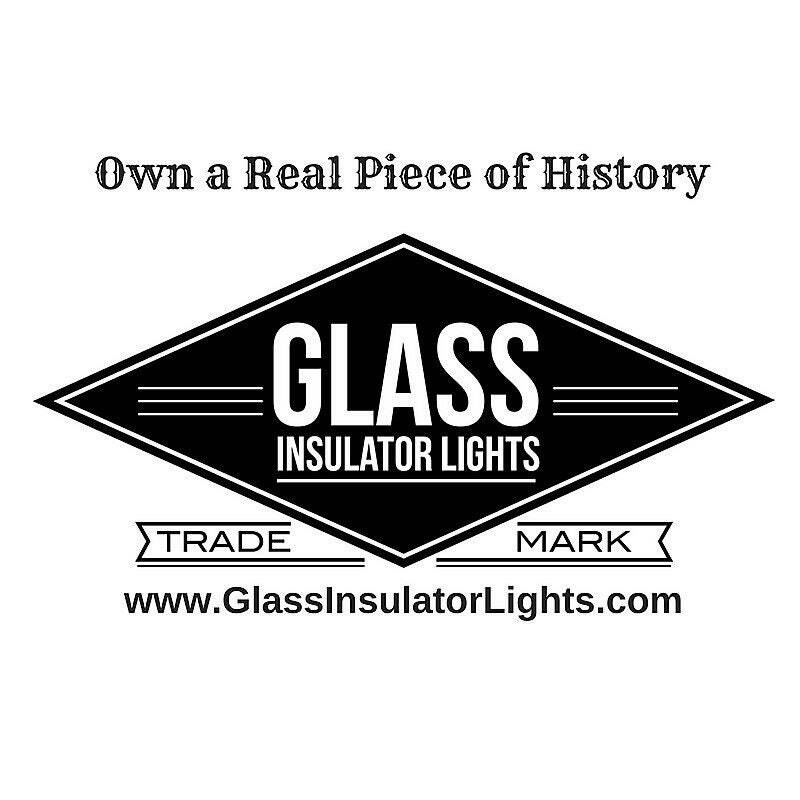 If you need this light to be wider or include 4 or 5 lights just let us know.